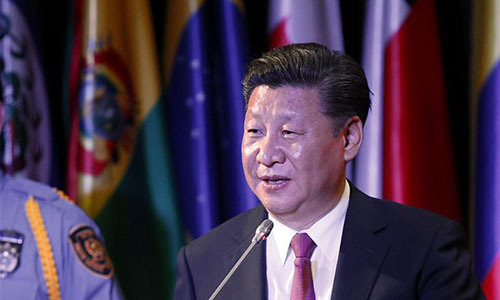 President Xi Jinping's visit to Latin America has given fresh impetus to China's relationship with the continent at a time when the US is expected to become increasingly protectionist under the administration of President-elect Donald Trump. On Xi's last stop of the trip, China and Chile agreed Tuesday to upgrade bilateral ties to the comprehensive strategic partnership level and enhance the free trade agreement between Chile and China. Chile was the first Latin American country to sign a free trade deal with China. Before Chile, Xi visited Ecuador and Peru, and attended the 24th Asia-Pacific Economic Cooperation Economic Leaders' Meeting in Lima, Peru. "Xi's trip to Latin America marks the best era for the relationship between China and this continent, and these relationships are developing quicker than ever," Guo Cunhai, deputy director of Latin American Studies at the Chinese Academy of Social Sciences, told the Global Times on Wednesday. The friendship between China and Latin America can be traced back to when China was isolated by the West due to ideological reasons. Chile was the first country to establish diplomatic ties with China in South America in 1970, as well as the first Latin American country to sign a bilateral accord with China on the latter's accession to the World Trade Organization and to recognize China's status as a market economy. Donald Trump's success in the US presidential election has brought more uncertainty to Latin America's prospects for development. "During the Obama era, Latin America expected the US to solve the problem, such as the US-led Trans-Pacific Partnership (TPP), which would have created opportunities for free trade, so Latin American countries could sell bulk commodities to the US without tariffs," said Guo. "Although the situation is tough for us, it's also an opportunity for both sides to upgrade and strengthen ties," Wan said. "Kerry's statement shows a 'New Monroe Doctrine,' due to the rise of left-wing and anti-US politicians in the continent. The US is trying to stop this trend, which means the US still treats Latin America as its backyard, but measures to maintain its control are becoming smarter and more flexible," Guo said. Wan said that another reason is Latin America's own culture and politics. 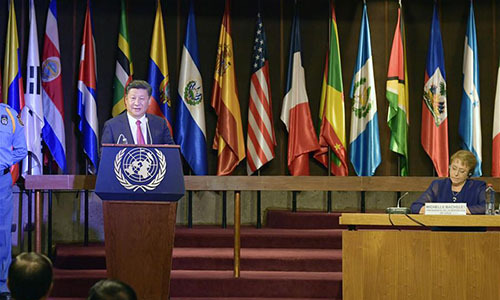 "Many Latin American countries' political situations see occasional instability, and countries on the continent are also divided on some issues," he said.